Why does the U.S. military invest so much pride in working to the point of tedium, if not exhaustion? A friend of mine, an Army major, worked at the Pentagon. He worked hard during his normal shift, after which he did what sensible people do – he went home. His co-workers, noses to the grindstone, would hassle him about leaving “early.” He’d reply, I can leave on-time because I don’t waste hours at the coffee maker or in the gym. Two recent examples of work- and fitness-mania are Army Generals David Petraeus and Stanley McChrystal. 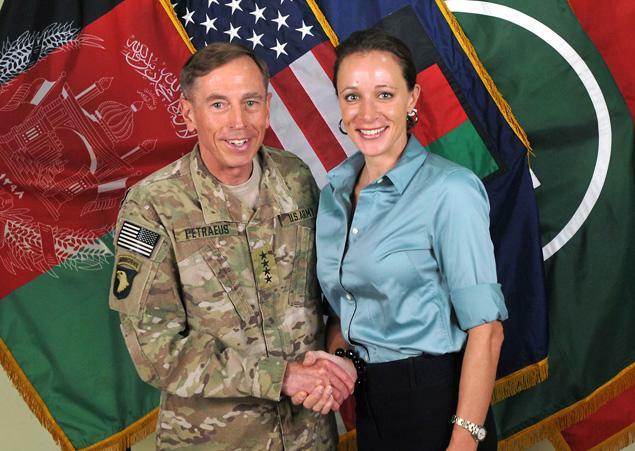 The U.S. media extolled them as ascetic-warriors, yet both flamed out due to serious errors in judgment (Petraeus for an affair with his biographer, with whom he illegally shared highly classified information, and McChrystal for tolerating a climate that undermined his civilian chain of command). Asceticism and sweaty fitness routines, after all, are no substitute for sound judgment and a disciplined mind. Busy-work within the military is related to Parkinson’s Law, the idea that work expands to fill the time allotted to it. In this case, with America’s wars on terror being open-ended, or “multi-generational” as the U.S. military puts it, the “work” on these wars will continue to expand to fill this time, with the added benefit of “validating” the extra money ($54 billion in 2017 alone) being shoveled to the Pentagon by President Trump. In the past, some of America’s finest military leaders had no shame in appearing common, most famously the “shabby” Ulysses S. Grant during the U.S. Civil War. Contrast Votel’s image to that of General George C. Marshall, who defeated Nazi Germany and Imperial Japan during World War II. How did Marshall manage such military feats with so few ribbons? Nowadays, U.S. generals sport more bling than the Kardashians. But let’s return to the notion of U.S. troops as “warriors” and “warfighters.” I’ve written extensively on this subject. I see today’s “warrior” conceit as a way of eliminating our democratic citizen-soldier ideal, making the U.S. military a thoroughly professional force, subservient to the government and divorced from the people. However, there’s another aspect to this “warrior” mythology, a powerful psychological one: the duping of the “warriors” themselves, distracting them from a bitter reality they may be little more than cannon fodder for greed-war. * The U.S. military today is awash with warrior creeds that to me are antithetical to the citizen-soldier ideal of America. To sum up the U.S. military’s current ethos, then: We have a lot of guys who take great pride in constant busy-work and excessive physical exertion, sporting high and tight haircuts, their uniforms festooned with bewildering displays of ribbons and medals and badges, extolling a warrior code in the service of a government that tells them that multi-generational wars are unavoidable. And so it shall prove, if these shadows remain unaltered. *Thanks to Michael Murry for bringing my attention to how the semiotics of “warrior” are dramatically changed if we substitute “gladiator” for “warrior,” followed by less grandiose terms such as “those about to die,” i.e. as scapegoats to the king’s ambition, an insight he gleaned from reading Umberto Eco. A recent article in the New York Times about how General (Ret.) David Petraeus is being honored by the New York Historical Society featured a word often used to describe Petraeus as well as another retired U.S. general fallen on hard times, Stanley McChrystal. The word is “ascetic.” The American media loved to hype the ascetic nature of both these men: their leanness, the number of miles they ran or push-ups they did, how hard they worked, how few hours of sleep they required, and so on. Somehow “ascetic” became associated with superlative leadership and sweeping strategic vision, as if eating sparse meals or running ten miles in an hour is the stuff of a winning general. Of prospective generals Napoleon used to ask, “Is he lucky?” In other words, does he find ways to win in spite of the odds? It seems our media identifies a winning general by how many chin-ups and sit-ups he can perform, or how few calories he needs in a day. The whole ascetic ideal is not a citizen-soldier concept. It’s a Spartan or Prussian conceit. And it’s fascinating to me how generals like Petraeus and McChrystal were essentially anointed as ascetic warrior-priests by the U.S. media. So much so that in 2007 the Bush Administration took to hiding behind the beribboned and apparently besmirchless chest of Petraeus. Of course, both Petraeus and McChrystal bought their own media hype, each imploding in his own way, but both manifesting a lack of discipline that gave the lie to the highly disciplined “ascetic” image of the warrior-priest. And of course both are now being rehabilitated by the powers-that-be, a process that says much about our imperial moment.